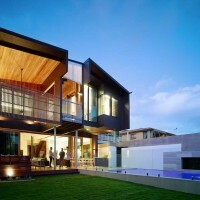 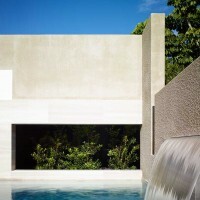 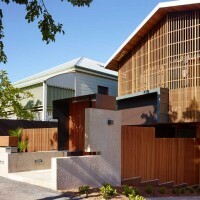 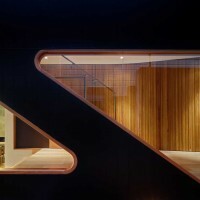 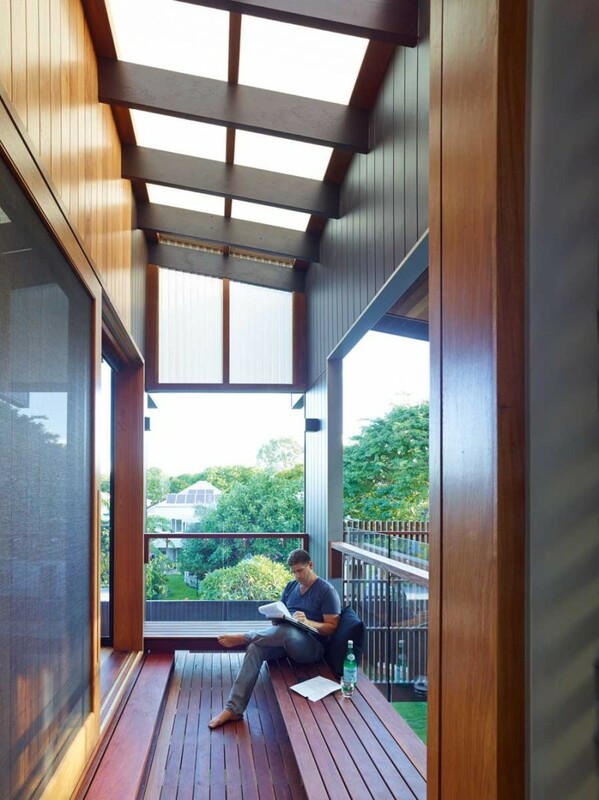 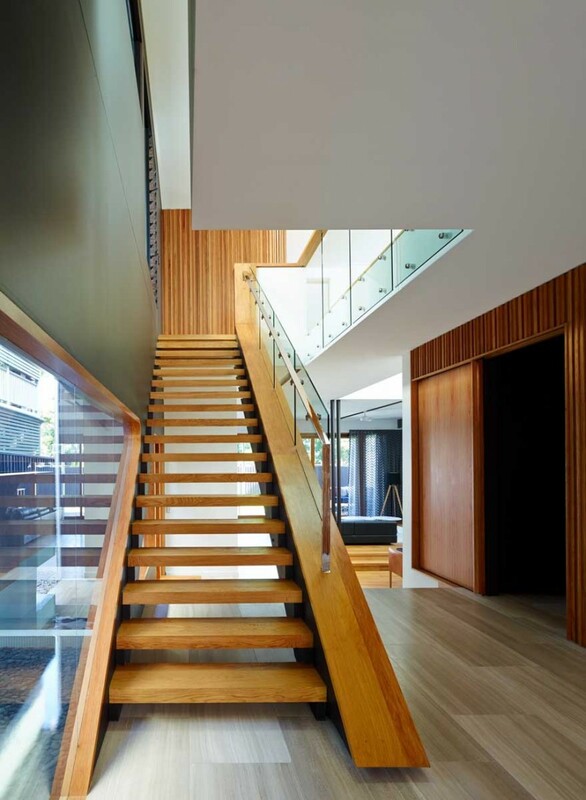 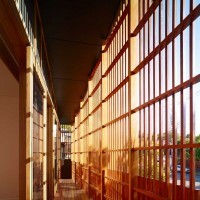 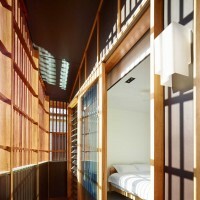 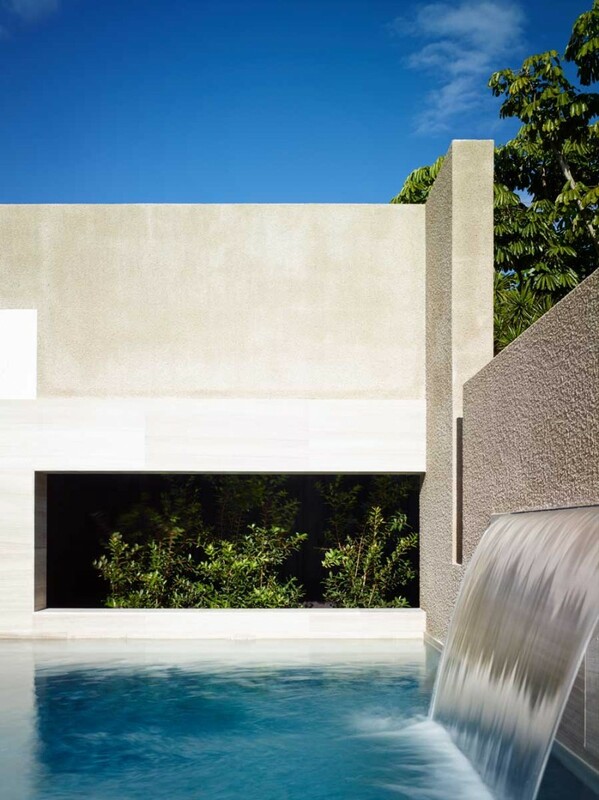 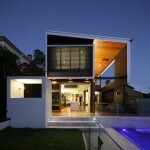 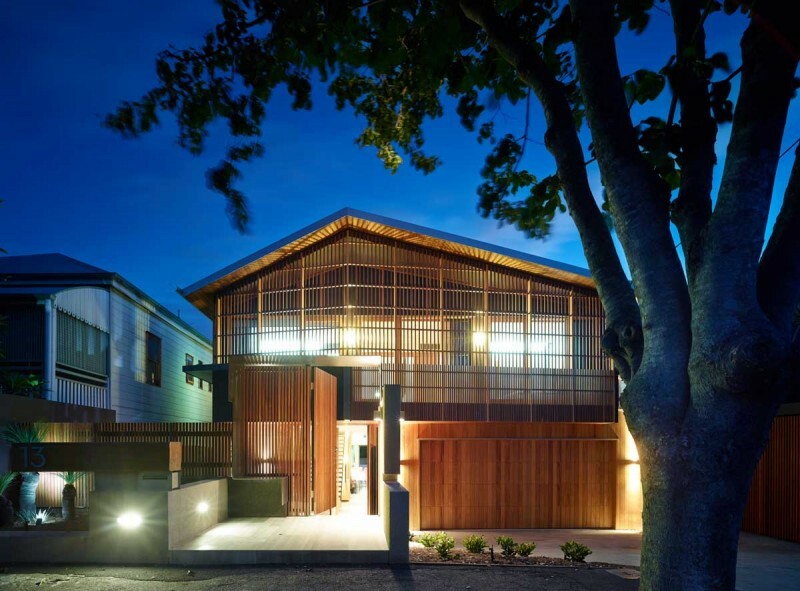 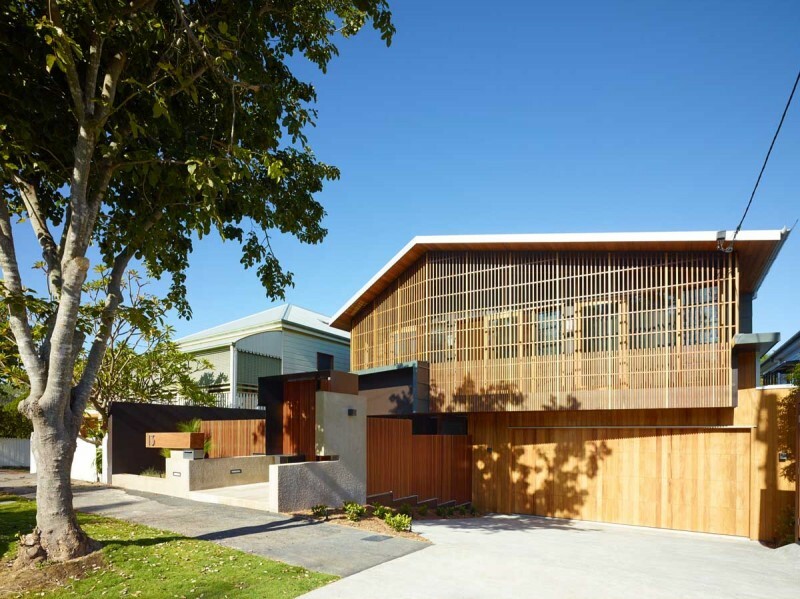 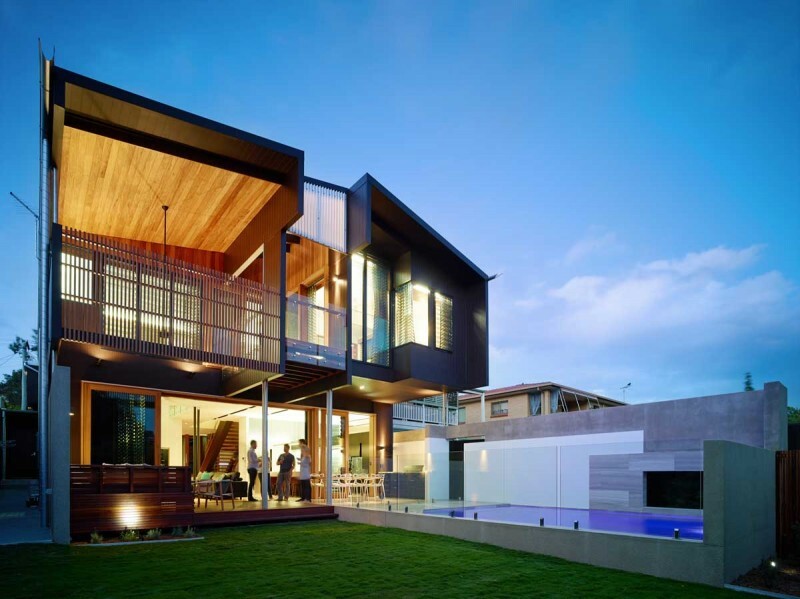 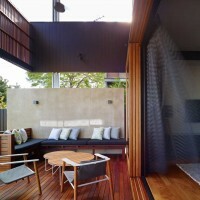 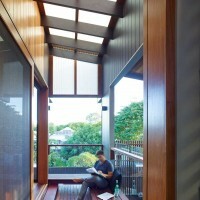 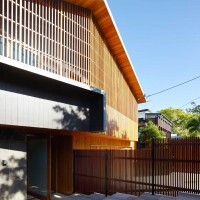 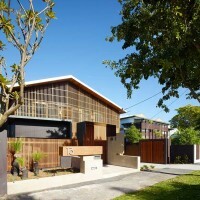 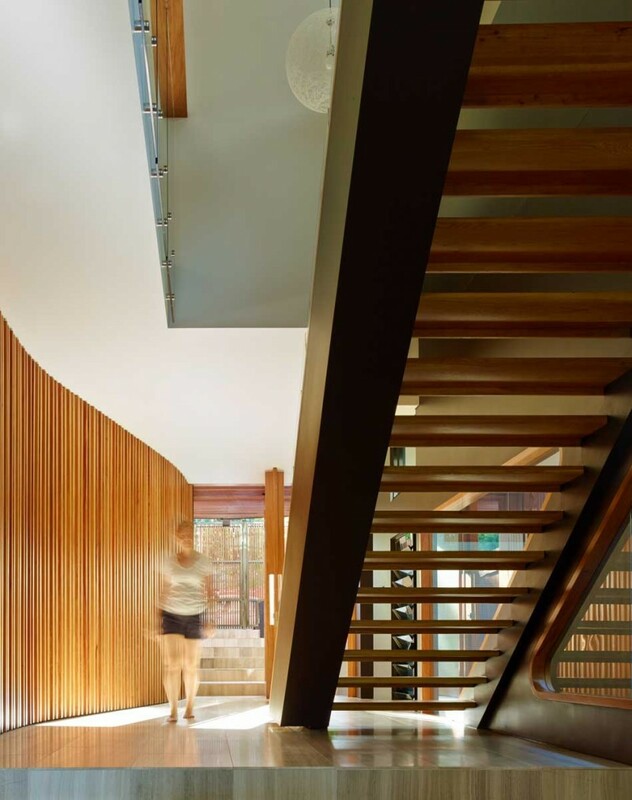 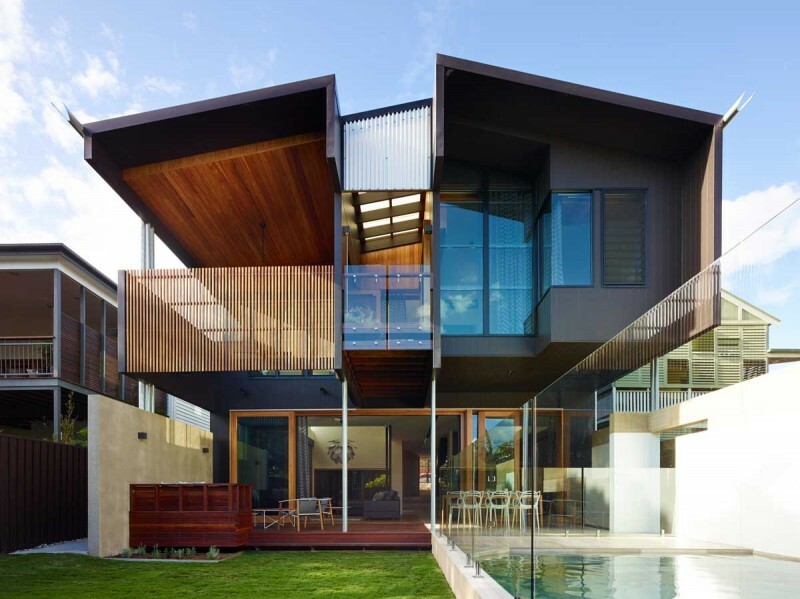 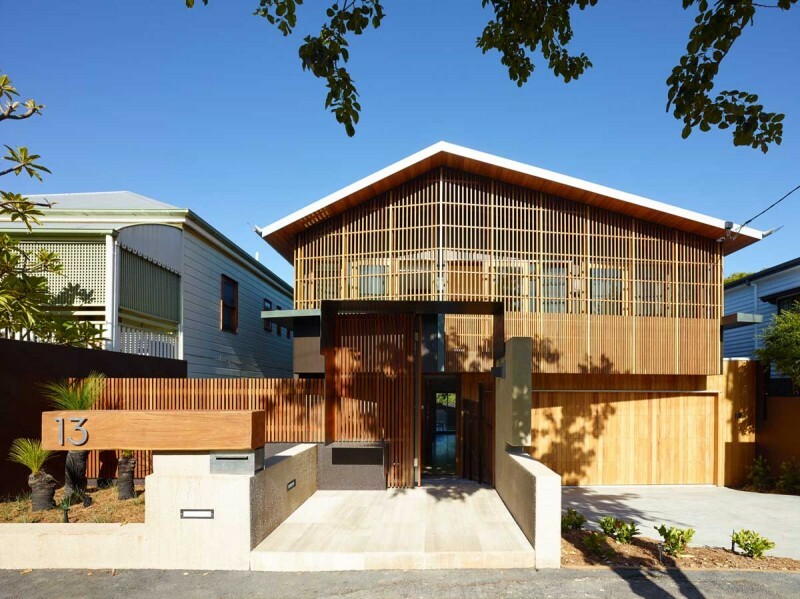 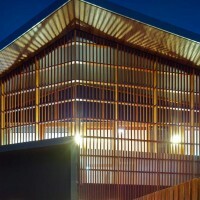 Shaun Lockyer Architects have designed Palissandro, a two-storey house located in Brisbane, Australia. 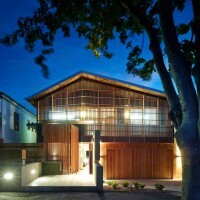 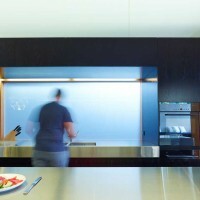 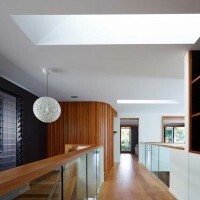 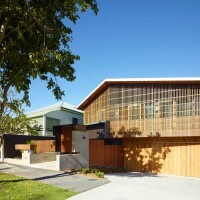 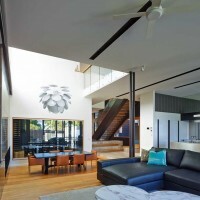 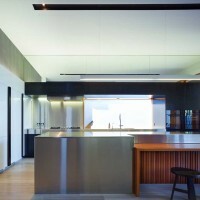 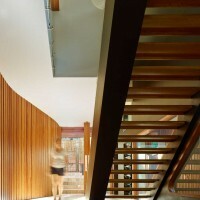 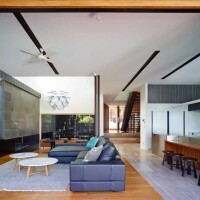 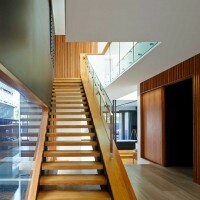 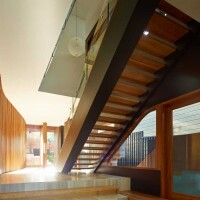 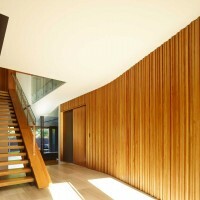 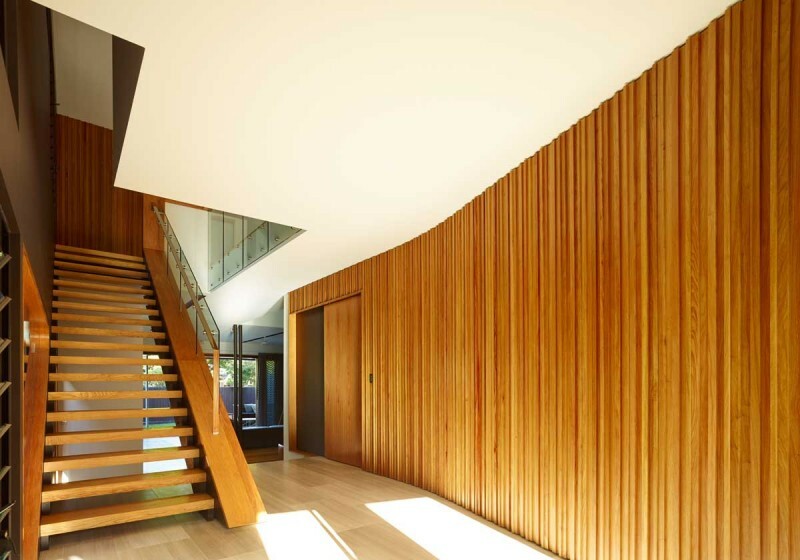 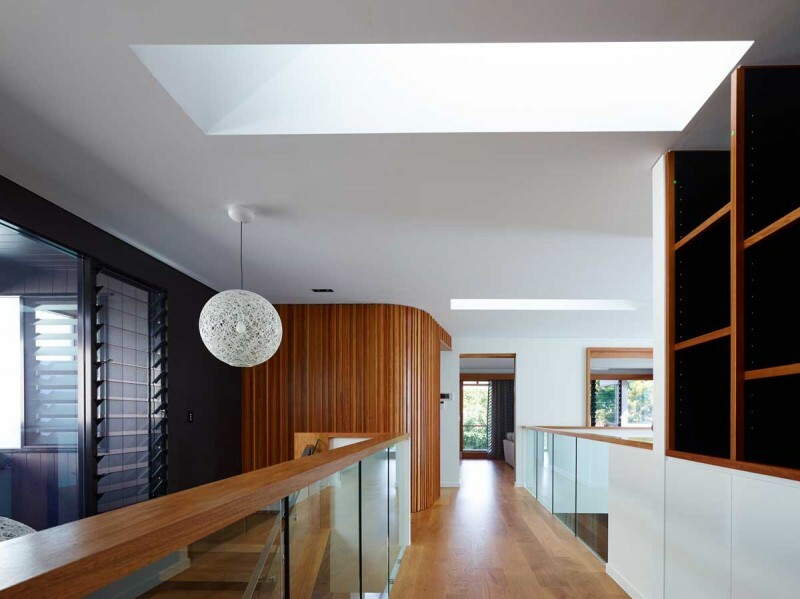 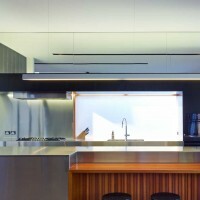 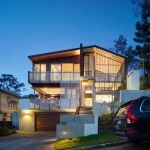 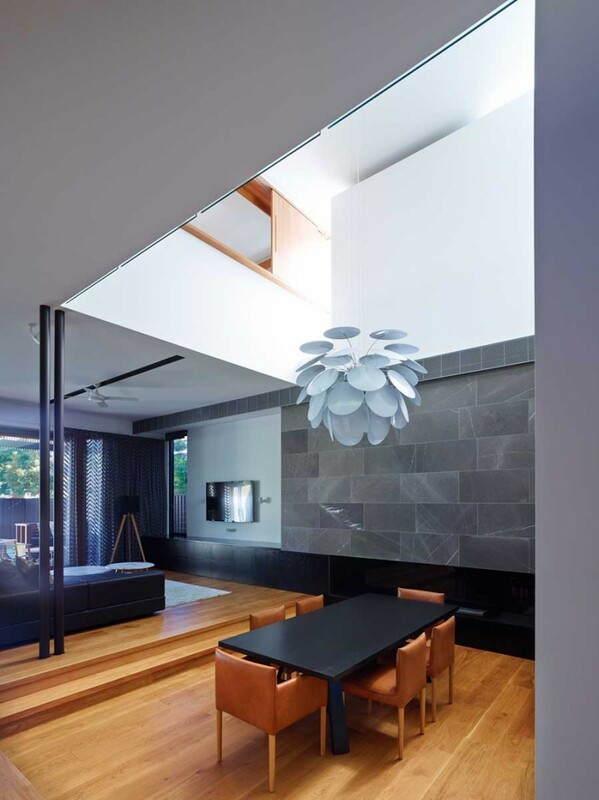 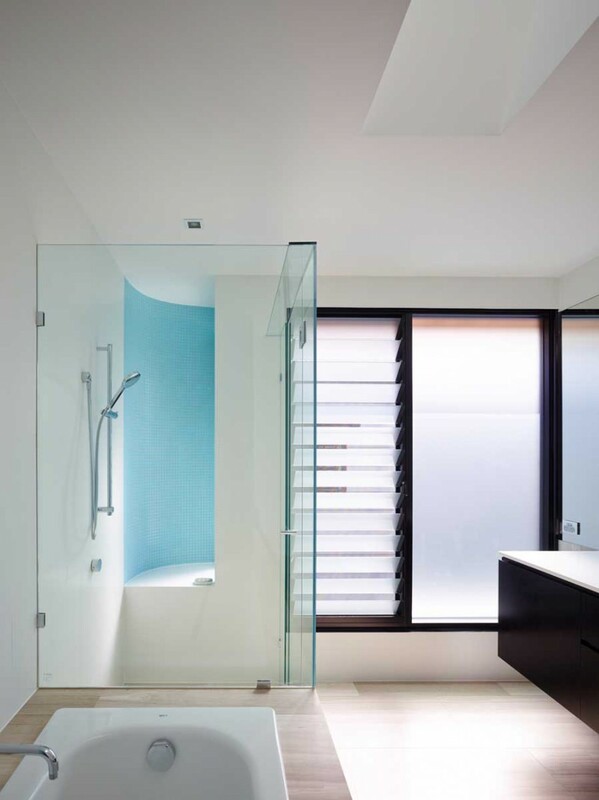 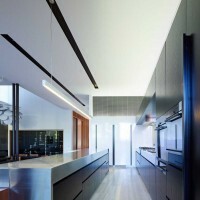 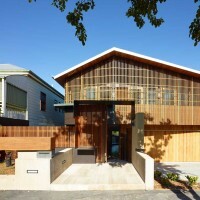 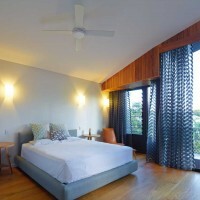 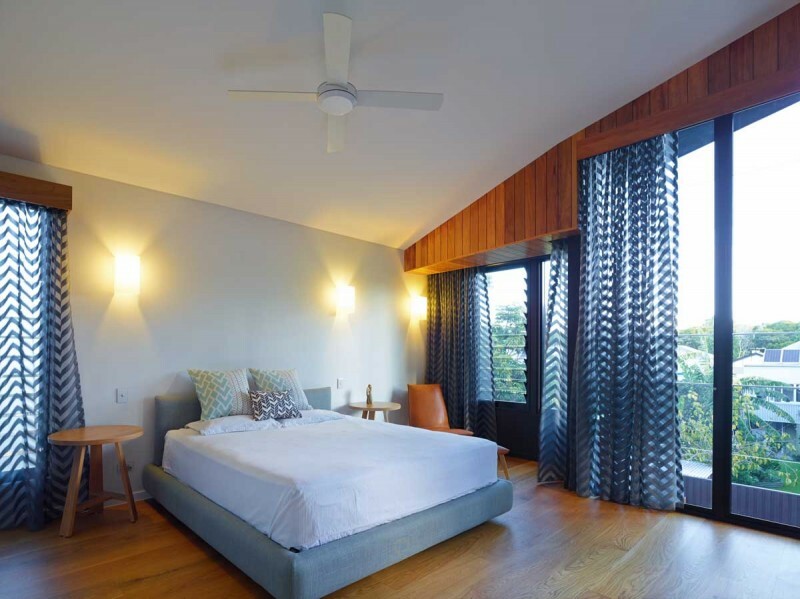 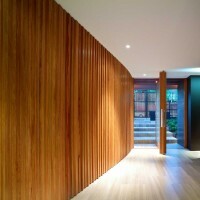 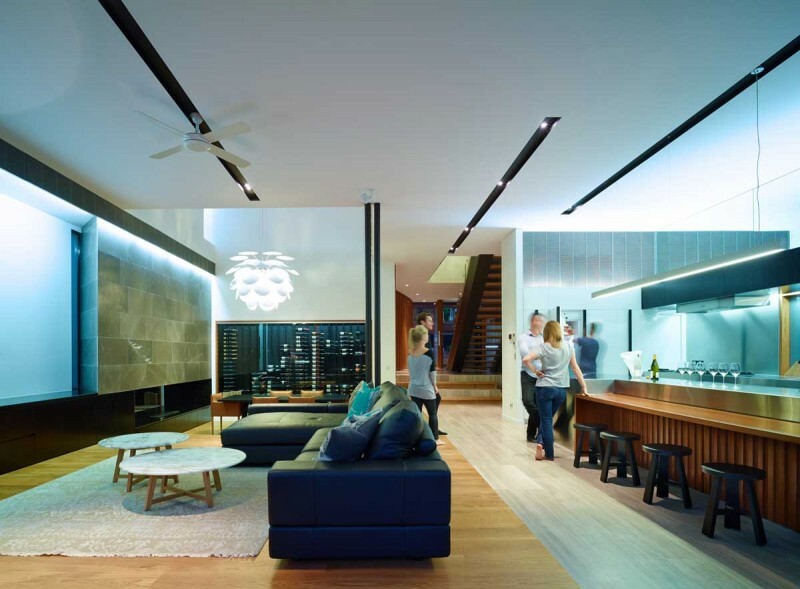 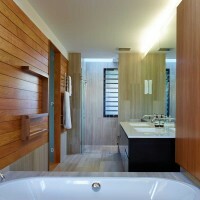 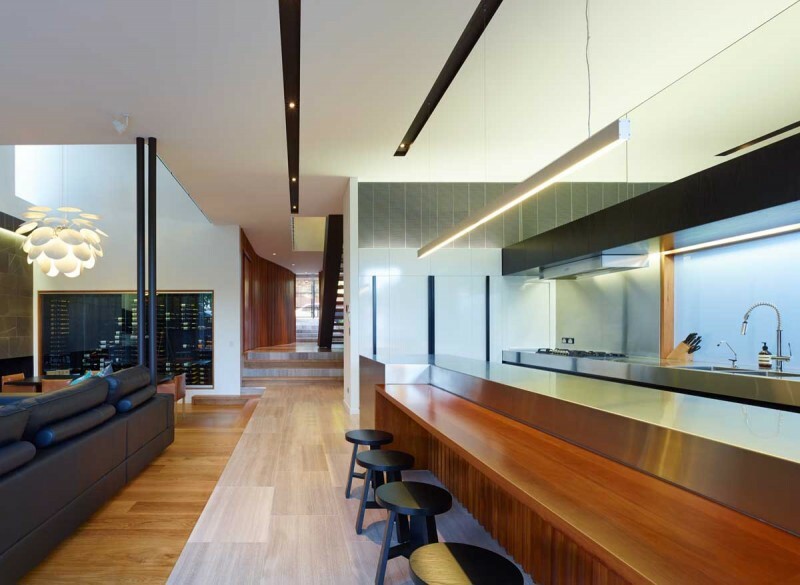 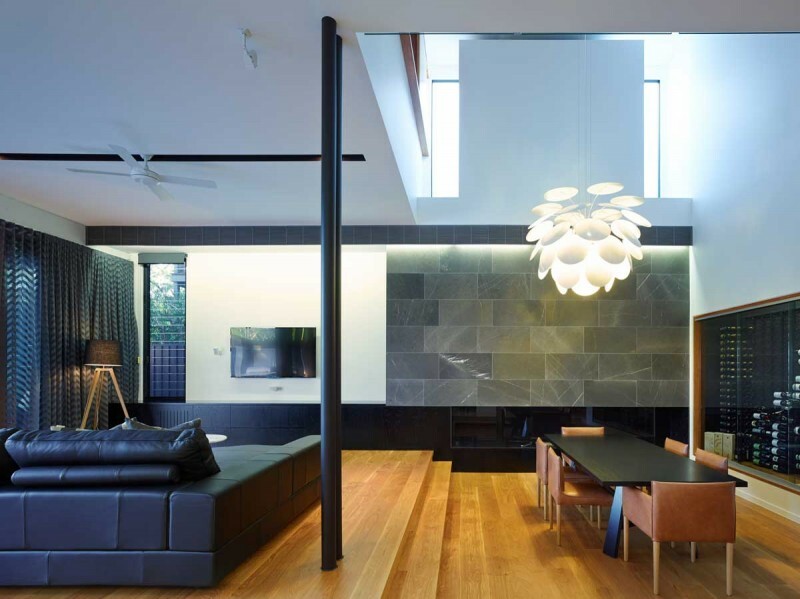 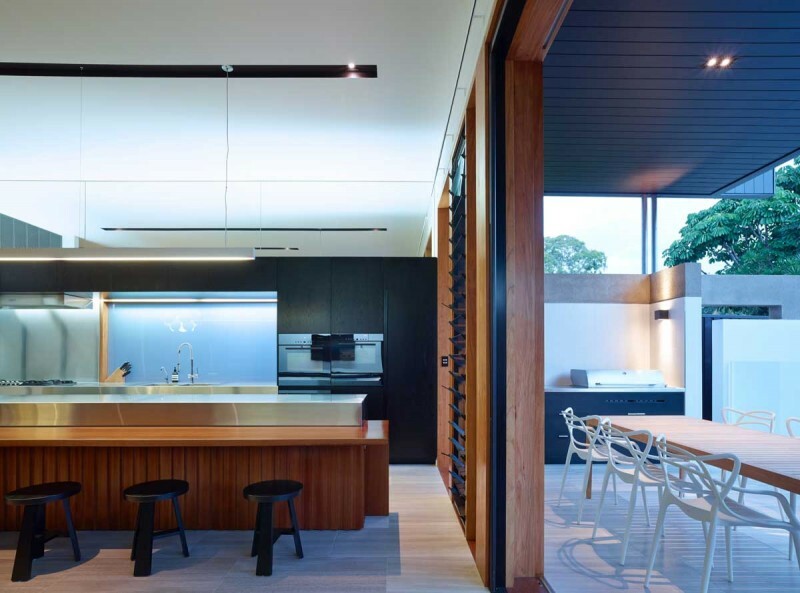 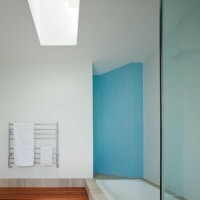 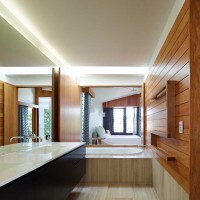 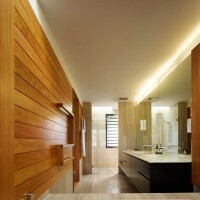 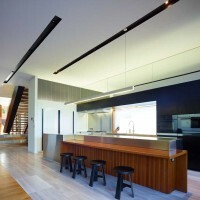 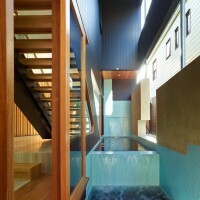 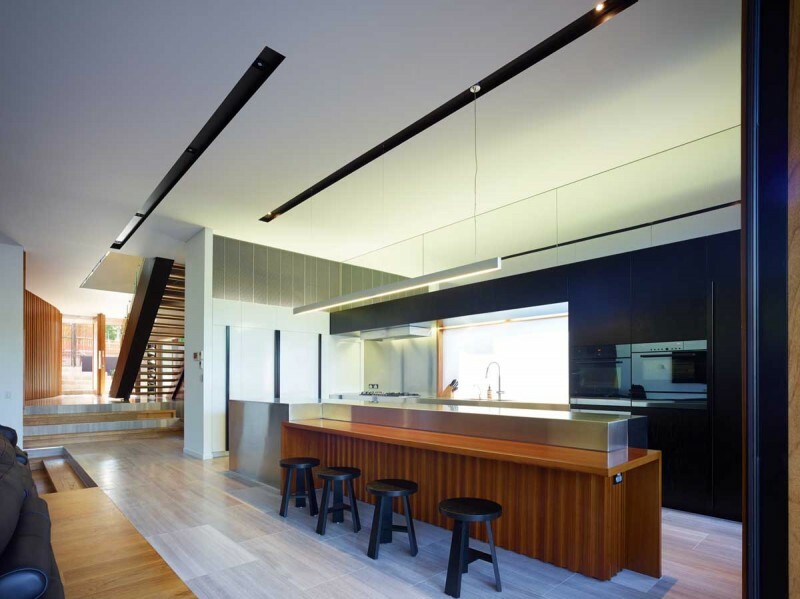 Palissandro is a contemporary two-storey house in New Farm. 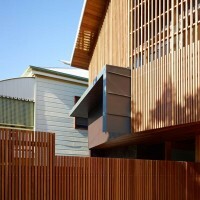 The design creatively addresses the constraints of the character code, acknowledging its historical context while still achieving a progressive outcome. 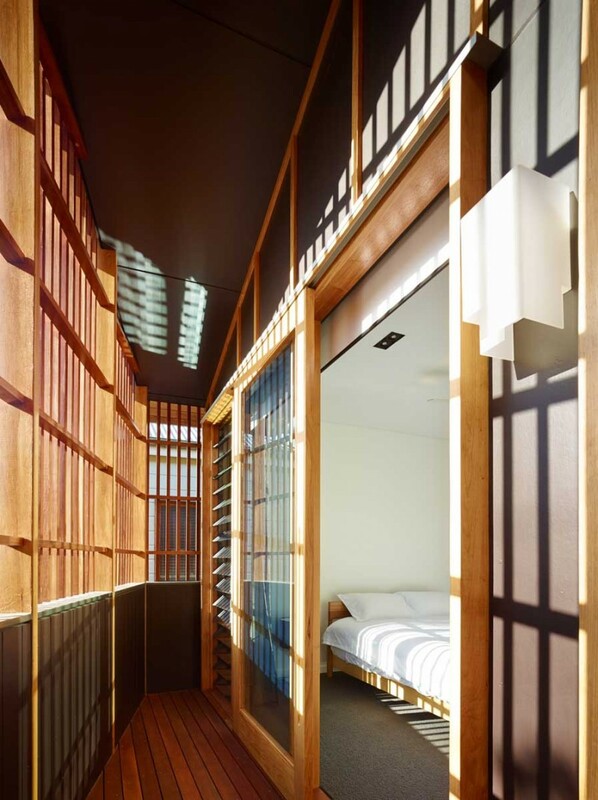 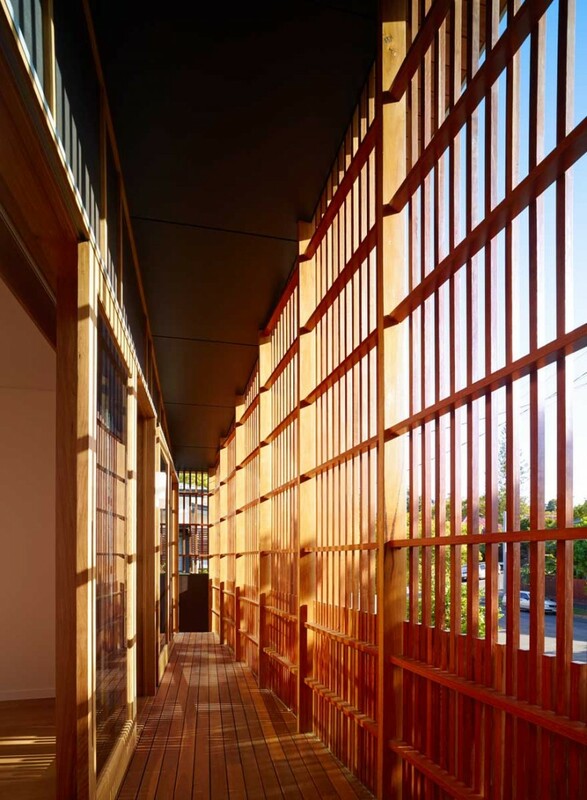 The building was conceived as a pure form, chiselled out to reveal apertures and fenestrations which capture light, breezes and views. 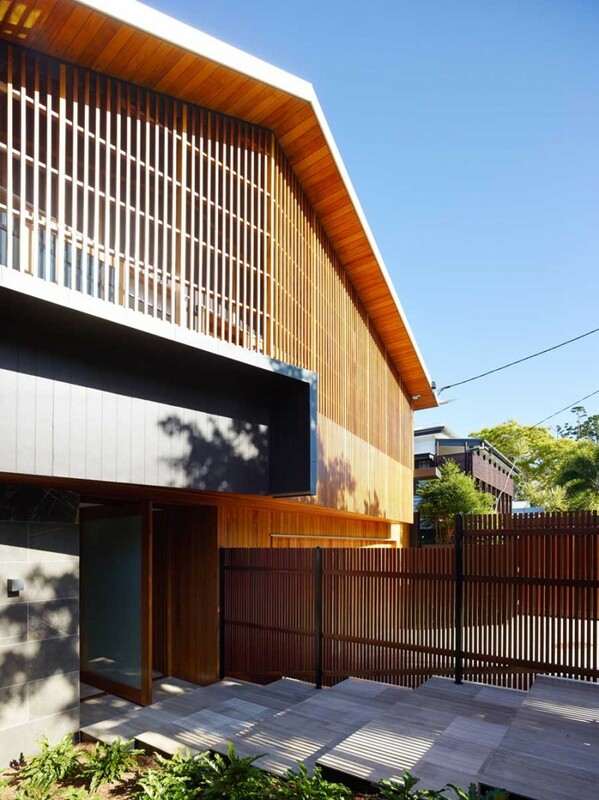 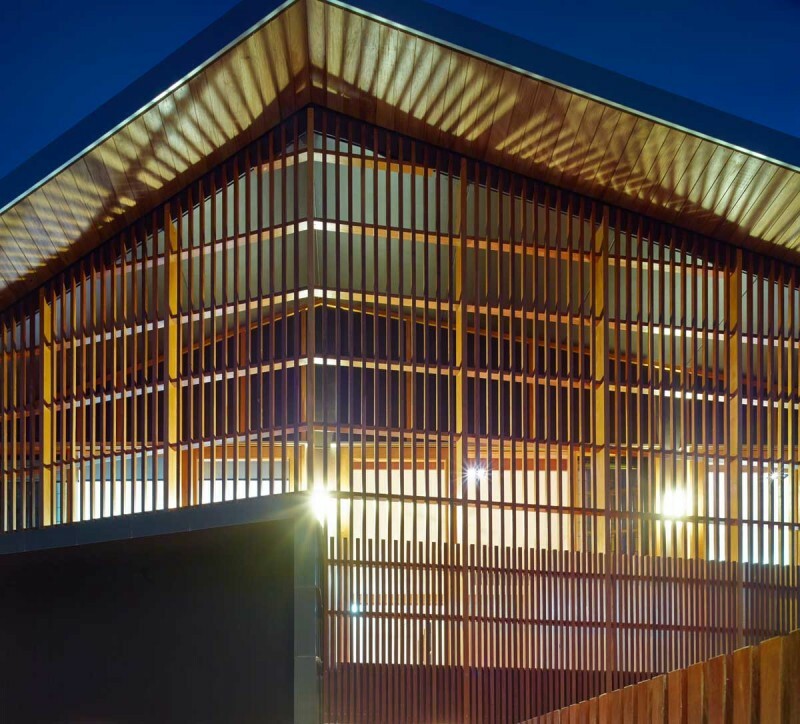 The striking rosewood facade is one of the defining features of this project, providing an ever changing play of dappled light and shade.